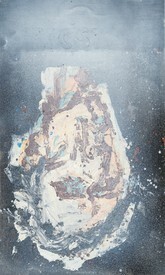 In 1975 David Reed exhibited a series of new paintings at Susan Caldwell Gallery, New York, which had a strong impact on Christopher Wool, a young artist at the time. 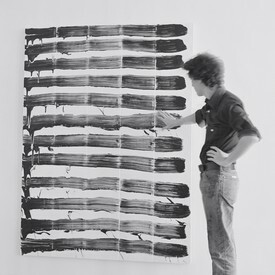 More than forty years later, Wool, along with Katy Siegel, curated an exhibition of Reed’s paintings, complemented by a group exhibition of artists who were similarly exploring the relationship between process and image-making in painting, sculpture, photography, and film. In this video, Wool, Siegel, and Reed discuss the recent exhibition and the works on view. Katy Siegel and Christopher Wool discuss David Reed’s paintings and the New York art scene in 1975. 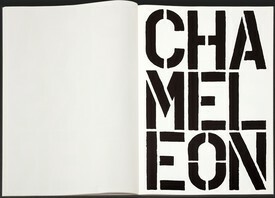 Christopher Wool’s Black Book (1989) was selected by Douglas Flamm, a rare-book specialist at Gagosian, for a special focus. 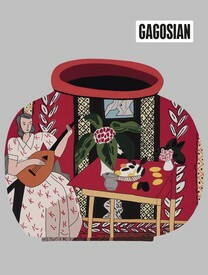 Text by Anna Heyward. The artist speaks with David Rimanelli about his newest works, the physicality of photography, and the persistence of certain motifs throughout his career. 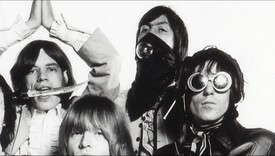 The photographer speaks about his signature portraits of the 1960s, recounting how he came to photograph such luminaries of the era as Mick Jagger, Jean Shrimpton, and Andy Warhol, among many others. 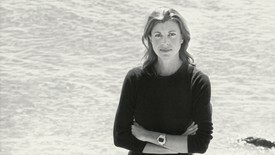 Elizabeth Smith, executive director of the Helen Frankenthaler Foundation, and curator John Elderfield discuss a decade of Frankenthaler’s work on the occasion of her first exhibition of paintings in Rome. Kembra Pfahler speaks with Sweeney about his work, staying inspired, and the relationship between self-portraiture and performance. 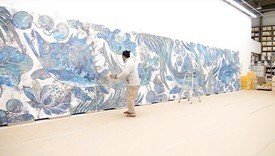 In a conversation recorded at the Los Angeles County Museum of Art, Takashi Murakami describes the process behind three major large-scale paintings, including Qinghua (2019), inspired by the motifs painted on a Chinese Yuan Dynasty porcelain vase. 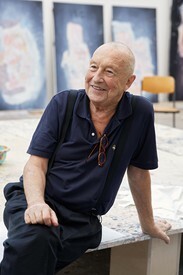 Georg Baselitz speaks with Sir Norman Rosenthal on the subject of his latest work. 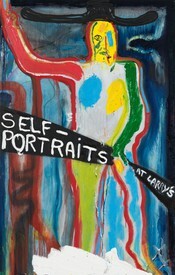 The two discuss these paintings, all depictions of self-portraits by artists from the past and present, and what it means to pay homage. 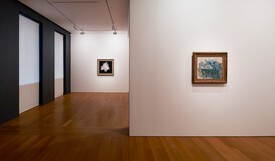 Zeng Fanzhi speaks about curating the exhibition Cézanne, Morandi, and Sanyu at Gagosian, Hong Kong, and the connections between the three artists’ works. Interview by Jin Jing. Morgan Falconer visits the artist’s studio outside Munich to learn more about his newest paintings, a series entitled Devotion.